Today we finally finished unpacking Luke and put away all of his things. We cleaned the house from top to bottom, did all the laundry, and grocery shopped. We will finally all be back on track after our summer and on a schedule. Yay! 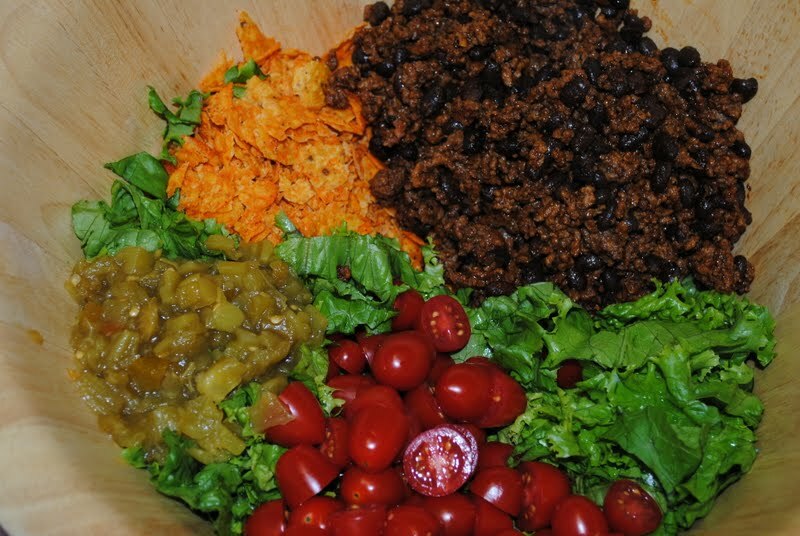 I was tired after our long day, so dinner was a super easy meal we love—taco salad. What I also love is that the clean-up is easy. Major plus in my book! Brown the beef and drain. Add the package of Taco Seasoning. And then if you are like me, add some chili powder. Add the black beans in with the meat and let sit on low for 5 minutes or so. Then take off the heat. Crush up the Doritos in the bag and pour into a large bowl. Chop up the lettuce and tomatoes and add to the bowl, then add chilies. Add meat and bean mixture to bowl. Top with cheese (a lot if your family is like mine). And mix. If you are like Josh, you put Thousand Island dressing on it….weird. The possibilities are really endless. You could add olives, sour cream, or guacamole. I think every time I make this it is different than the time before. 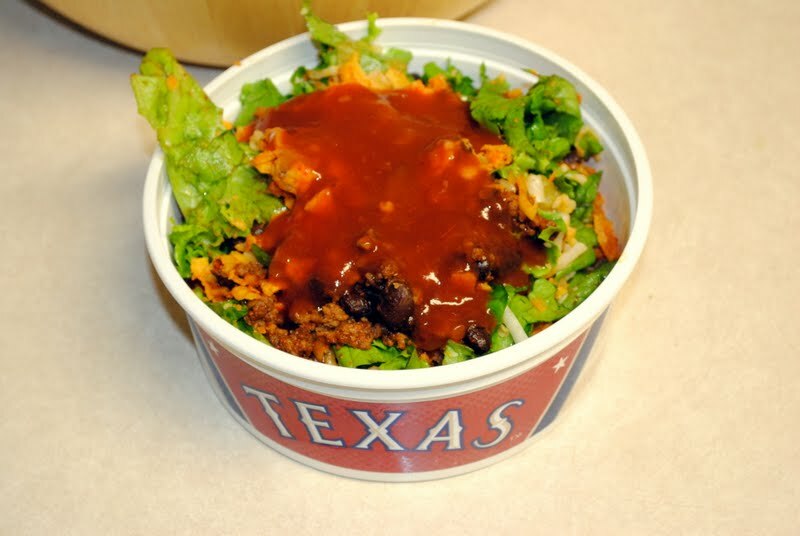 Ed puts Italian dressing on his taco salad and it seems like one or both of the boys add Ranch to theirs. I let the salsa and sour cream make a yummy dressing for mine!